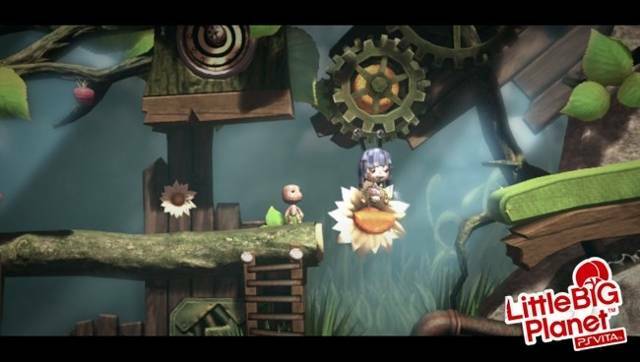 The most creative platformer ever conceived gets even more creative. Tons of content; new input methods; play-and-pass levels that allow for multiplayer with one game; new options for level creators. Touch controls are awkward; platforming still feels a little floaty. 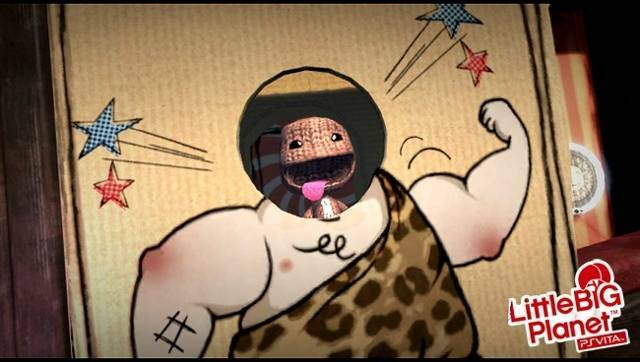 Few games are able to bring out the same creativity in its players as the LittleBigPlanet series. From the very first release on the Playstation 3, users have been able and encouraged to use their imaginations to create levels that others can run, jump, and grab through on their way to the goal, collecting points, running races, and doing pretty much anything else the creator can think of. The latest release, this time on the Playstation Vita, continues the trend while introducing the many types of input that the Vita allows such as touching and tilting of the device. 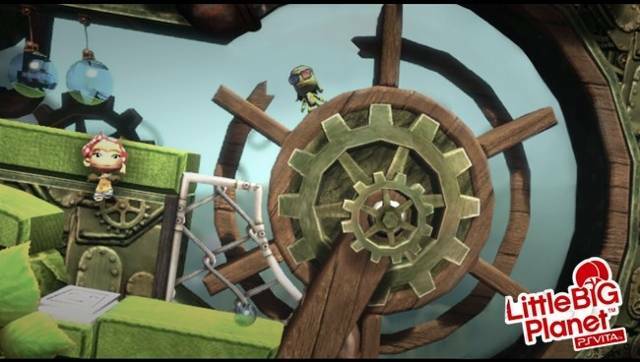 The same three-layered platforming from the previous games is back, of course, but now there are parts, for example, that allow you to tap the screen, pushing in various parts of scenery or draggin them throughout the world to create platforms. You can also use the back of the Vita to tap objects forward, and the tilt sensors of the system can be used to move certain parts of the scenery around. 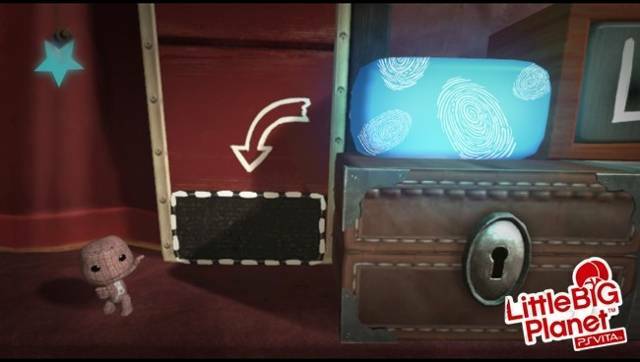 There are also objects like a hat that allows you to fire touch-guided missiles, introducing a lot of new puzzles in the process. 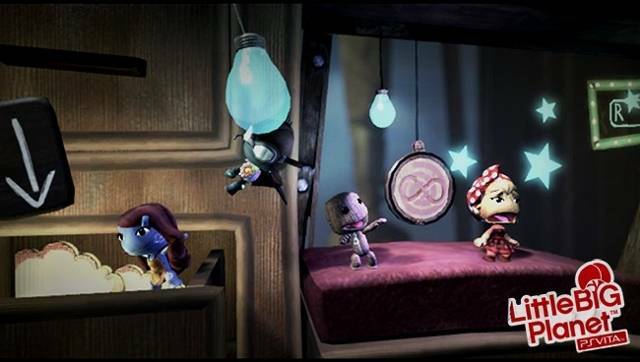 The main campaign of the game does a good job of introducing you to the world of LittleBigPlanet PS Vita, where a malevolent force has taken over the world of Carnivalia. You're introduced to the various new inputs and objects gradually, giving you ample time to master them. 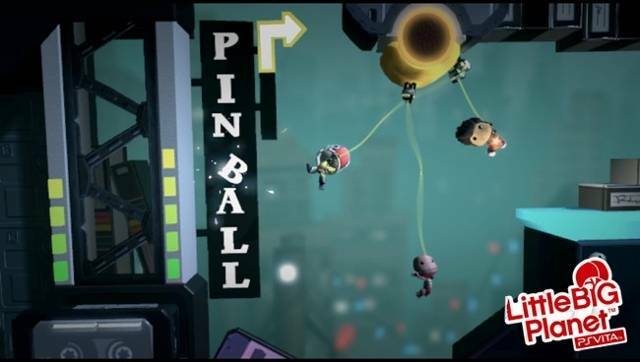 There are also side-games to play, such as a tap-version of whack-a-mole, a sort of balancing game, and even two-player air hockey. Also new are pass-and-play games, allowing multiple people to take turns on a particular game to see who can get the highest score. Of course, multiplayer options are available on any level, user- or developer-created, as well, allowing you to play with up to four people. It's all really well implemented and creates a stunning array of possibilities for the budding level creator. These touch controls do come at a bit of a price, however - the Vita is not what I'd call a heavy device, but trying to interact with the environment with one hand while holding the system up with the other can get pretty awkward, really interrupting the flow of gameplay. While it's no gamebreaker, it is noticeable enough to make me dislike any touch-heavy areas of levels I encounter. Speaking of level creation, those who enjoy the more creative aspects of LBP will not be disappointed here. 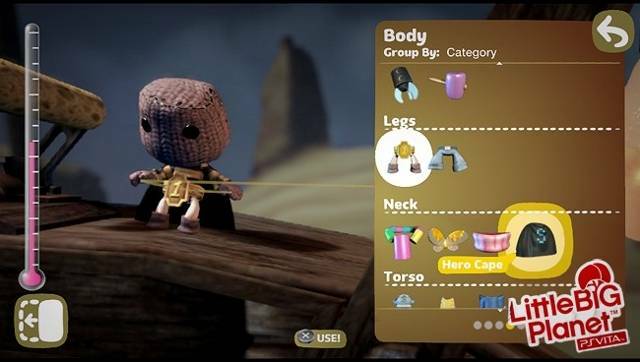 Including all the level tools from LittleBigPlanet 2, in addition to all the new materials and abilities for the Vita, the options and results are nearly limitless. They're also surprisingly easy to get started on, as well, as I had a perfectly functional (though maybe not the prettiest) level up and going in no time at all. The touchscreen facilitates this, making it easier to create large objects, view your level, and in general just create what you want. 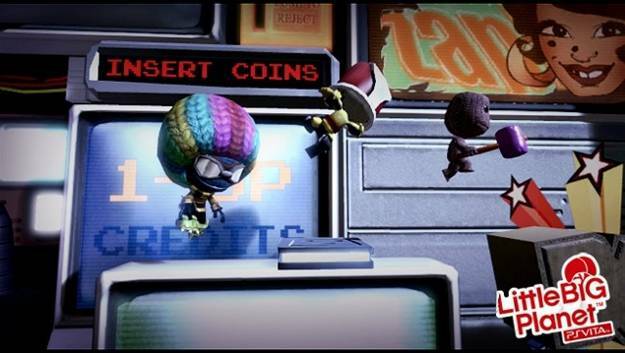 It's hard to say much about LBP PS Vita that hasn't been said about previous games in the series. 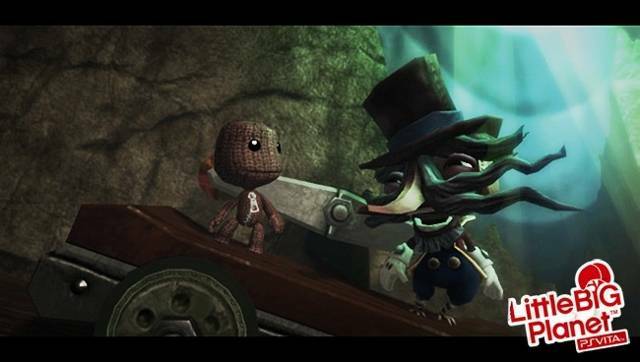 It's a tightly-crafted, greatly polished game that's been hand-crafted for the Playstation Vita. 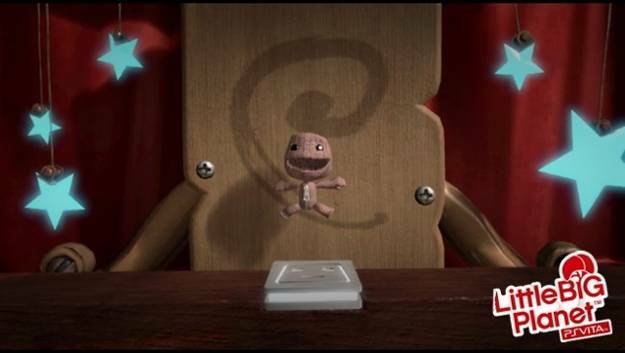 It doesn't change any aspects of the LBP series, but it does improve on them, adding more and more to what what already a pretty robust engine. In short: if you've enjoyed the LittleBigPlanet series in the past, there's nothing stopping you from picking up what is probably one of the best games on Sony's latest handheld to date.